When you consider buying a yacht, It is utmost importance to check each and every details about the yacht for sale that you are interested, we are dedicated to give our best to satisfy our clients. 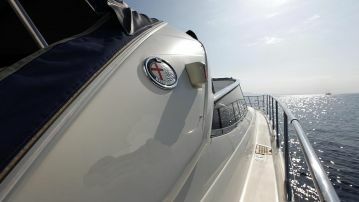 Because we are well prepared, ready, willing and able to undertake any yacht survey, yacht building project or evaluate a yachts for sale and professionally carry out with any project suitable for your criteria either commercial or performance yachting standards so that you are given full scale information. 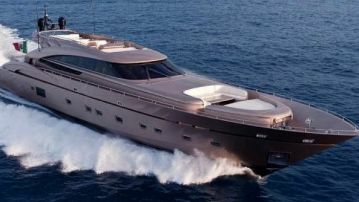 The information about the yacht for sale should be accurate and upto date, we can provide you the entire survey report as soon as possible to make sure that you have been offered a seaworthy, sleek, splendid and commercially viable yacht. 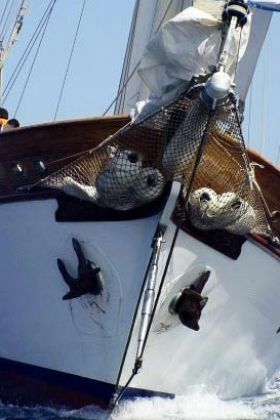 So that you and your loved ones can enjoy the utmost luxury in privacy and comfort on board your dream yacht. we would love to be remembered as the good friends from Turkey and your information will remain confidential with us. it is obvious that there are many other yacht brokers out there and the only way we can stand out from the rest is by doing honest and professional job. 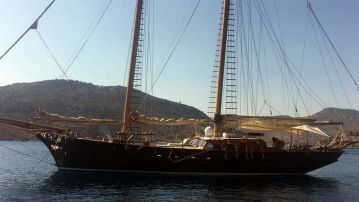 Our yacht for sale in Turkey portfolio consists of hundreds of quality brand name luxury motoryachts and modern, spacious, motor sailer / gulets as well as crewed sailing yachts to fulfill your circumnavigation dreams around the globe. please feel free to consult with us whenever you are buying a yacht for sale or selling, we might be able to help you somehow. 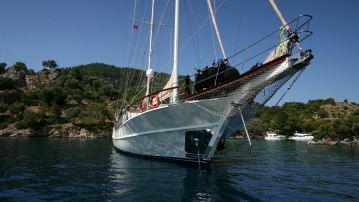 We as yacht for sale in Turkey brokerage network offer you the largest selection of preowned charter gulets and motoryachts with our global network of experienced yacht brokers, Captains and independent marine surveyors. 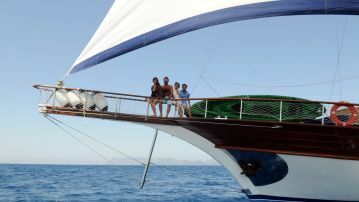 we offer full access to highest quality, well maintained used charter or private gulets and motor yachts from the worldwide effective yacht sales in Turkey network. 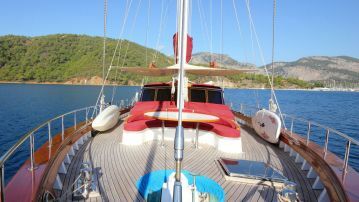 semi used, Preowned charter or privately used yacht for sale in turkey from our portfolio benetti, baglietto, ferretti, azimut, bilgin, mengi, proteksan, sunrise, peri and many more Bodrum built epoxy laminated mahogany or steel hull gulets, motorsailers. They are all fully equipped and undergo an extensive maintenance program during wintering period, offering excellent value for money. We also offer a few used boats from private owners and we have the world’s largest selection of preowned Turkish Gulets so far. We have been providing dedicated customer service for over 25 years. 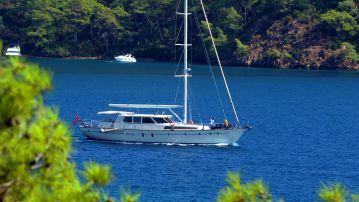 Whether you are looking to purchase a used yacht or sell one, we can help you with access to the most complete sales portfolio of recent yacht for sale in Turkey. 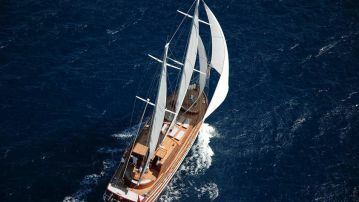 We are a division of yacht for sale in Turkey a leading international yacht building, yacht chartering and yacht brokerage group based in Turkey. Rest assured when you partner with our brokerage offices as a buyer or seller, you gain peace of mind through our financial stability and experience.